super netter, herzlicher Host!! Würde jederzeit wiederkommen! The owner was super friendly and helpful with every question we had. He gave us a lot of information about which places are worth visiting and marked us the way on how to get there on a map. The hostel was clean and the beds were pretty comfortable. You can relax watching Tv on a sofa with others. We can only recommend this hostel. City Break was perfect for us. The host ist helpful and uncomplicated. It was so hot in Belgrade and he told us an easy way to get to the beach. The atmosphere is nice so we felt comfortable during our stay. There are several shops and cafes around the corner and also the tram is nearby. We really enjoyed our stay and would definitely come back. 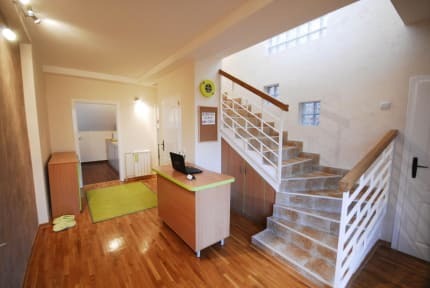 A small hostel close to the center of Belgrad with staff that is doing their best to make you feel comfortable. We met many nice people and had a good time. However there are only two bathrooms and it could be cleaner. Also it's at lot of stairs to walk and no lift. We would love to come back anyway! Good hostel if you are only looking for a place to sleep! Not really a good hangout since you have to be quiet in the main room and there's very little privacy since the dorm is just an open space that other rooms have to go through and that doesn't have it's own door. All in all we had a good time though!